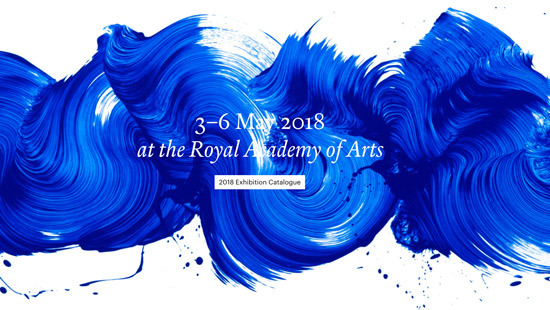 I'd completely forgotten that it's the London Original Print Fair at the Royal Academy of Arts this week. The 33rd London Original Print Fair started yesterday. The Fair is held in the Main Galleries at the RA (the ones they use for the Summer Exhibition). There are also several events during the course of the Fair. Here for those who know rather less than they'd like to about original fine art prints (i.e. they're not made using the giclee process) is some information courtesy of their website - in a section called Printmaking explained. There's lots more on the website including some great examples of that particular type of print available at the Fair. plus videos about some of the processes. If you click the links below you'll see I'm a big fan of dry point and engravings but tend to buy linoprints - and this is mainly because I can't possibly afford the prints I do want to buy! The image is drawn or painted onto a smooth, non-absorbent surface. Paper is pressed against the image, usually with a printing press, to create a one-off image. Most of the ink is removed during the process, so it cannot be repeated. Therefore, a monotype is always unique. The plate is covered in an acid-resistant layer of wax called an etching ground. The image is then drawn into this surface with an etching needle. The plate is immersed in an acid bath until the acid has bitten into the drawn lines. The ground is removed and the plate is inked and printed as with an engraving. As in an engraving, the drypoint needle draws the image directly onto the plate. The residue copper is left on the side of the etched lines, which then collects the ink, creating a furry effect called burr. Lithography is a chemical process based on the fact that water and grease repel each other. Traditionally the design is drawn with a greasy crayon onto a lithographic stone, hence the name, from the Greek ‘lithos’ meaning stone. The stone is dampened with water, which is repelled by the crayon. It is then inked with a grease-based ink, which is repelled by the water and adheres only to the areas covered by the greasy crayon. A sheet of paper is placed on top of it and the two are passed through the press together, so that the design transfers directly onto the paper. The image is engraved directly onto a metal plate, usually made of copper, with a sharp tool called a burin. The plate is inked and wiped clean, before being passed through a printing press. Woodcut is a relief printing process in which the areas around the image to be printed are cut away from a wooden block, leaving the image in relief. All about woodcut from London Original Print Fair on Vimeo. LOPF goes behind the scenes at Paupers Press to show you how a woodcut is made. Paupers are printing Grayson Perry RA's 'Reclining Artist' published by Paragon in 2017. Linocut is a relief printmaking process in which the areas around the image to be printed are cut away from a sheet of linoleum, leaving the image on linoleum in relief. The raised areas are then inked and the image transferred onto a second surface, usually paper. Linoleum is a malleable surface that is easier to cut into than wood or metal, allowing artists to create more subtle variations and effects. Do you know how much entry tickets were? It is now too late - and the prices are unavailable - but it would be good to know approximately for next year. If you are reviewing ticketed events it would be good to quote the price of a full priced adult ticket. I tend to avoid the RA because of its high prices and only very tiny reductions for Art Fund members. Thanks. Tickets cost £12, concessions available. Free to Friends of the RA and under-16s.